American Family Care was founded by Dr. Bruce Irwin, a primary care physician 31 years ago. In April 2013, AFC acquired Doctors Express Urgent Care, making us the largest family care/urgent care organization in the country. 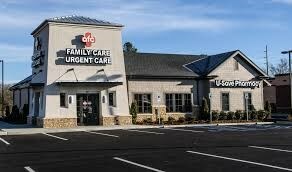 AFC Urgent Care has over 200 locations in 27 states, with more clinics scheduled to open this year! We remove the administrative burden of the medical practice, allowing you to focus on patient care. We offer modern clinics in urban and suburban locations. Our clinics are equipped with digital x-ray, CLIA-approved labs, EHR, along with a professional support staff. The result is a rewarding career, allowing for a excellent work and life balance.